Motorcycle drag racer is not really good at drag racing. Yesterday, the video below was uploaded to YouTube with the title “Car vs Bike” and nothing in the description except “Drag Race.” I knew something magical was bound to happen, however, because Daisy Duke was the official race starter. Daisy Duke gives the countdown. Keep your eyes on the motorcycle, which, in theory, should have no problem beating out the old BMW. In theory. 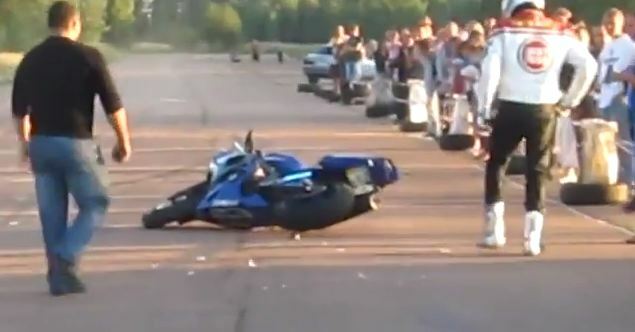 Luckily, the motorcyclist reported no broken bones, but his pride was shattered in seven places.